Summary: The HouseHold HA-434RTL f eatures a sensor that inconsistent in detecting people or vehicles. The Guardline GL2000 or the Dakota 2500 are two options better suited for a driveway alarm. The HouseHold HA-434RTL can be use as an indoor or outdoor alarm and will detect people, animals and vehicles. The package includes 1 sensor, one receiver, mounting hardware and instructions manual. Whenever movement is detected, the sensor will send a signal and the transmitter will alert you by either a sound, flashing LED, or both. If installed outdoors, it is always a good idea to mount the sensor in a well protected area, away from heavy rain, sunshine and high wind. This will minimize the number of false alarms. 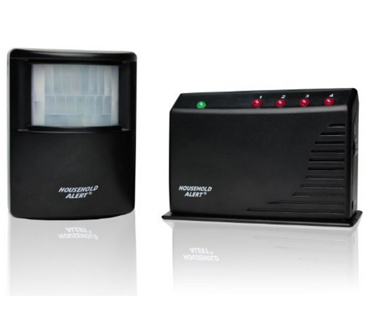 The HouseHold HA-434RTL driveway alarm system has a longer motion detection range than other alarms in this price range. However, it falls short in terms of detecting capabilities. The sensor is cheaply made and unreliable: it goes off randomly or it simply doesn’t detect people and vehicles. My suggestion is to either purchase the Guardline GL2000 or the Dakota 2500.